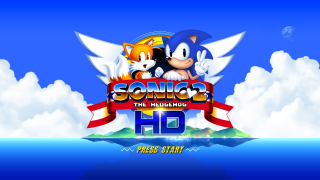 Sonic the Hedgehog 2 HD, a highly anticipated Sonic Retro community project. It is to be expected that a franchise with fans will receive supplimentary material from its community, be it fan art, fan fiction or even fan films in an effort to celebrate a concept which brings people together. But with video games such as Sonic the Hedgehog, it is just as common to see fan games - unofficial, self-contained video games that users can download for free, to tie fans over between official releases, or explore entirely original ideas with Sonic characters or settings. Sonic the Hedgehog fan games can be dated back to just shortly after the series was formed, likely with the Amiga release of Sonic Attack and the X68000 release of Minic the Hedgehog. It is generally considered that the first fullly fledged Sonic fan game produced was Sonic Boom in 1995. This crude attempt built in Klik & Play would go on to inspire countless fan games in the years which followed, starting with the equally simple Tails and the Quest of 100 Rings and Sonic Robo Blast, the first 3D Sonic fan game, Sonic Robo Blast 2, and many more leading up to the present day. Advances in technology and expertise means that today, many fangames are comparible to the original Sonic 2D platformers on the Sega Mega Drive. Others try to utilise more cutting edge technology, with complex 3D worlds and ideas. It must be noted that each and every fan game is created as a non-profit engagement, put together from love for the Sonic the Hedgehog franchise. Expressed in the best way they could think of, no intention to infringe upon copyright is attempted. Pages in category "Fan games"